A couple of weeks ago we ran a post that looked at the resurgence of the hyena population on Londolozi, and how this was going to have a knock-on effect on the other predators in the area, in particular the lions. In this post we mentioned a sighting in which two of the Sparta lionesses took down a wildebeest and were robbed that evening by the local hyena clan, who in turn were robbed by one of the Matshipiri male lions. Let me rewind to that morning. I’ll pass briefly over the Tsalala pride, who had an altercation with the hyena clan at dawn and then moved away for the day. I’ll come instead to the main and unusual event of the pre-noon saga; the return of the Majingilane. The roars of one of the Matshipiri males had permeated the night air the evening before and had obviously been heard by attentive ears in the west. Silently the Majingilane had made their approach, and we had had no indication that they were in the vicinity as they made their way on padded paws.. Were it not for a radio call from one of our staff member’s en route to a bush breakfast who happened to bump into them, we may never have known they were there. Daniel Buys moved in after the radio call and found them quickly; the scar-nosed, hip-scar and missing-canine members of the mighty coalition. Absent was the dark-maned male, but reports from lodges in the west was that he was mating with a member of the Ottawa pride. The three Majingilane had clearly come back east to put on a bold front for the benefit of the Mathsipiri males(s). Although rare visitors to Londolozi these days, it was clear from their arrival that they still viewed these central areas of the Sabi Sands as their undisputed domain. As can happen with lions, the morning resulted in anticlimax, and the three males settled down to sleep the day away, as did the Sparta females with their kill, the Tsalala pride, the Matshipiri male and an unknown young male who had wandered in from the northern side of the river, who we believed to be possibly a member of the Mhangeni pride. All of these lions were within a circle of one kilometre radius, and we suspected that come evening, something had to happen. The Sparta pride were attacked first. The hyena clan that had chased off the Tsalala pride in the morning moved in as evening fell and forced the lionesses off their wildebeest kill. Two lionesses were no match for the 14 hyenas that they were up against, and the beleaguered pride were forced to retreat. The whoops of the hyena clan as they gorged themselves on their prize carried to where the Mathsipiri male was rousing himself, and before long he had moved in to scatter the clan and claim the kill for his own. Ranger Gregory Pingo and a few other staff members had taken a vehicle out to see the possible interaction and arrived on the scene just as the Matshipiri male settled down to feed. They had bumped into the Majingilane on their way to the kill and had left them walking into the darkness, knowing that the wildebeest kill was where the action would be. We arrived at the kill shortly afterwards, and things were relatively peaceful as the male lion fed contentedly, ignoring the few remaining hyenas sneaking around. Our main aim was to see the Majingilane, as my guests had viewed them every year since their (the coalition’s) arrival at Londolozi, and we didn’t want to miss this rare opportunity. We had a hard task however, as we now had to find them in the darkness, and although we suspected otherwise, we knew they could be long gone. A few fruitless circuits about the area turned up nothing, and we were about to return to camp when Greg’s voice came over the radio that they had found the three males, and they were barely 100m from where the Matshipiri male was feeding and still blissfully unaware of the impending threat. Needless to say, we raced back to the scene, heading straight to the Matshipiri male, who the Majingilane were by now steadily approaching. Just as we do when lions or leopards are hunting at night, both vehicles went lights down, as we don’t like to impact natural behaviour in any way. A faint moon illuminated where the Mathsipiri male continued to feed. Apart from the noise of him eating, all was eerily quiet. 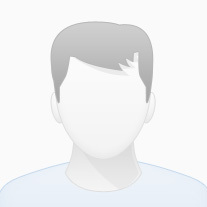 Suddenly his head shot up, ears pointedly fixed to the west, the direction the Majingilane were lying in. Possessing far superior hearing and vision to any human, he had heard and subsequently spotted the danger in time, and he immediately got up and slunk quickly and silently off into the darkness. Within less than a minute the three Majingilane had arrived at the kill, and predicting another anticlimax, we all expected them to settle down to feed. Not so. The Scar-nosed male arrived first, and the instant he cut the scent of the Matshipiri male, he turned and broke into a run. Followed by the male with the missing canine, both males were soon at a full canter, roaring their anger at the intrusion of the foreign male. It was all we could do to keep up as they continued at a run, moving on and on through the bush, across drainage lines, through thickets, foregoing the ease of movement that game paths or dirt roads would offer and staying like bloodhounds on the scent trail of the Matshipiri male, roaring continuously. It’s impossible to convey the excitement of such an evening in words, or even in video. The bouncing and rattling of the Land Rover, the constant bellowing of the lions as they move at speed, the unknown whereabouts of the male they are chasing, running desperately ahead of them, hearing his fate bearing down relentlessly from behind, and all of this taking place in complete darkness, with only the headlights and the spotlight beam providing scant illumination; all of these combine to produce an intoxicating cocktail of adrenalin and whatever else might be flowing through your system. The chase had gone on for over two kilometres when the two Majingilane slowed to a walk (the hip-scar male had not joined the chase). Switching off our engines to listen, we could hear not one, but two sets of answering roars reverberating out of the thickets only a few hundred metres away; the Matshipiri male had clearly reunited with his brother! Suddenly finding themselves far out of their usual stomping grounds (this was the furthest east they had travelled in over a year), and faced with an enemy of unknown strength, the two Majingilane decided that discretion was the better part of valour, and turned quickly to trot back the way they had come, the defiant roars of the Matshipiri males sounding behind them. They maintained the pace all the way back to where the hip-scar male was feeding on the wildebeest kill. Although the initial instinct from all on our vehicle was to admonish him for not joining in the chase, we realised that had he not stayed with the kill, the hyenas would have moved in and devoured it within minutes, and he had therefore saved a meal for him and his coalition-mates. My take on the day’s events is simple: The Majingilane responded instinctively to the roars of an intruding male (Matshipiri), which they may not have done had they heard both Matshipiri males together. Sensing his vulnerability, they moved in silently over the course of a night and the next evening, but were just too slow to catch him unawares. Luckily for the Matshipiri male, he had a clear line of sight to where the Majingilane were advancing from, enabling him to sneak away in time, thereby escaping at the very least a severe mauling but quite possibly death. Upon scenting him, two of the Majingilane immediately gave chase, with the third one remaining behind to guard their newly acquired wildebeest carcass and retain control of the meal. After being chased for a substantial distance, the Matshipiri male reunited with his brother, effectively doubling the force facing the Majingilane. Upon their reunion, the Matshipiri males immediately began roaring, which essentially amounted to a direct challenge to the Majingilane. Now finding themselves in a two-on-two situation, the chasing Majingilane realised they were far from home, without help and potentially outmatched. They immediately retreated, stopping to feed once they reached the wildebeest carcass once more. Exactly what happened later that night I cannot say, as we headed home after this. All we know is that the Majingilane had disappeared back over our western boundary by the following morning, and the Matshipiri males were nowhere to be found. Tracks of male lions were everywhere. I strongly suspect that the reunited Matshipiri males may have advanced towards where the Majingilane were feeding, and the experience of the Majingilane led them to shun an aggressive encounter and move back to the safety of their own secure territory. The Majingilane are ageing steadily, yet on this evening displayed the tactical superiority which has kept them in firm control for so many years. Advancing when they have the upper hand and retreating when the tables turn. It is not just brute strength and numbers that determine the victors when it comes to Lion Warfare, but clearly an innate understanding of which strategies to employ and when. The Majingilane. Still a force to be reckoned with. If you’ve been following our lion stories, you’ll know that their dynamics are currently in a state of flux. Prides and coalitions are moving in and out of Lion Sands Game Reserve. We don’t have a dominant coalition at the moment, but top contenders on the reserve are the three Tsalala Males and two Avoca Males. The Tsalala Males are a group of relatively young lions (nearly five years old), who come from the central Sabi Sand, and have been around Lion Sands Sabi Sand for a few years now. While they have numbers on their side, they are still inexperienced. It could be another few years before they are in their prime and ready to take over this prized territory. The Avoca Males coalition began consistently turning up at Lion Sands Sabi Sand a few weeks ago. They have made it known they are also interested in dominating this area, and have been seen patrolling and scent marking, and heard vocalizing. They are slightly older than the Tsalalas (over five years old) and also appear big for their age – with the confidence to go along with it! Perhaps that will be enough for them to fend off the competition. Over the past 10 days, we have also had several sightings of the Tsalala Males mating with the Eyrefield Lionesses. They stuck around for a few days, together on a zebra kill, and mated during that time. In the past, the Eyrefield Lionesses have been seen mating with all three of the Tsalala Males – a strategy lionesses use to confuse paternity. We got our hopes up that the Eyrefields would now make Lion Sands their new home, especially in the absence of the Southern Pride of lionesses. The Eyrefields have a history going back over four decades in Sabi Sand. Unfortunately for them, like the Southern Pride, they went through a recent decimation. This caused them to abandon their usual stamping ground, which explains their presence at Lion Sands now that there is a territory available. However, the hope of a stable near-future for the Tsalala Males and Eyrefield lionesses was short-lived. On 26 March, the guides at Lion Sands Kruger National Park witnessed the unpleasant aftermath of a territorial dispute between the Tsalala and Avoca Males that morning. Despite the Tsalalas having numbers on their side, the Avocas severely injured one of their lions. The guides later saw him in a bad condition, with what appeared to be injuries to his spine. We weren’t able to relocate him for several days afterwards, so were unsure of the extent of his wounds. 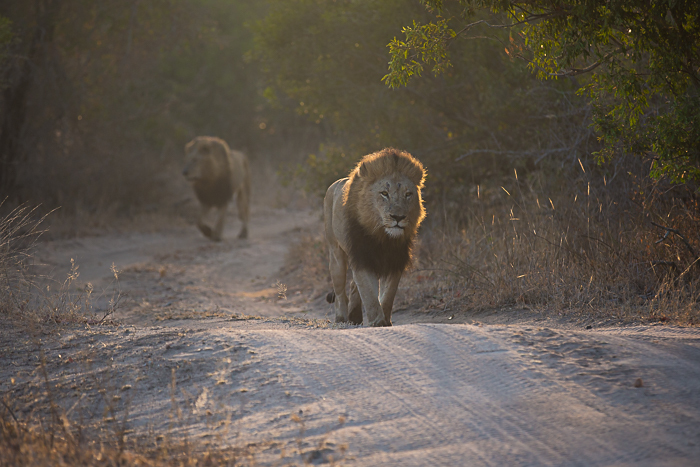 Two Tsalala Males were seen together a few days later, moving from Lion Sands Kruger National Park back into Lion Sands Sabi Sand, with no sign of the third. We were worried that their injured brother might not have made it. Thankfully, on 1 April, all three males were seen together, although not in top condition. They will need to hunt soon and recover quickly if they are going to maintain a presence in this area. After the fight between the coalitions, the Avoca Males wasted no time in finding the Eyrefields lionesses again. They were spotted together, with one lioness displaying coy behaviour towards one of the males. We didn’t see them mate, although it is likely they had been. If these lionesses hold back from mating, it would be because they are waiting to see if these males are strong enough to defend the territory and their future offspring. Lions showing a rare side of theirs. If you’ve been on safari, you’ll likely have heard your guide say something along the lines of: “Animals don’t read books,” as they try to explain some out of the ordinary behaviour. A recent lion sighting on the Sand River was one such instance where this was the only thing to be said about what was happening. Lion dynamics at Lion Sands and its surrounding areas are in flux. The Avoca males’ recent run-in with the Charleston males resulted in the former being chased off the reserve and sightings halting for a few days. So when word of the Mangheni lions came on 7 August, there was great excitement. This is a nomadic coalition of sub-adult males who were excommunicated from their pride in the Sabi Sands a few months ago. Arriving in the area where the lions were spotted, we got a lot more than we bargained for. The first view revealed one large male lion, with a full belly, spread across the road and, what looked like, four female lions feeding on a buffalo carcass in the reeds behind him. This isn’t at all what we were expecting. We waited patiently for the male to move into the reeds, before creeping towards the carcass for a better look. Upon closer inspection, we discovered that the other lions were actually three sub-adult, males from the Mangheni pride and one Eyrefield lioness – feeding together! The other Avoca male, looking well fed, was also present, obviously having eaten his fill before the others joined in. This behaviour – in particular, the large Avoca males allowing the Manghenis to feed on the same carcass – is certainly not the norm. We watched in amazement the interaction taking place before us and trying, unsuccessfully, to make sense of this strange behaviour. 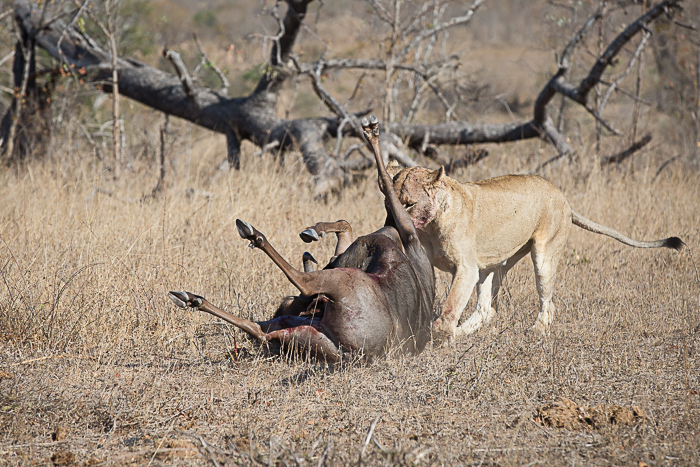 Perhaps the young lions had attempted taking down the buffalo, only to have the Avocas rush in and finish the job. Or maybe, because of their poor condition and submissive behaviour, the Avocas didn’t feel threatened by them and it wasn’t worth risking an injury to chase them away. The question of what exactly led to this gathering of lions has left us guides scratching our heads. We’ll probably never know, but it certainly provided an extraordinary sighting. There are undoubtedly interesting times ahead for the lions of Lion Sands Game Reserve and its surrounds. Keep up the good work, I think this thread is a great idea. The sound of impala alarming stopped the Southern Pride in their tracks. Realizing the impala weren’t alarming at them they stared into the darkness to see the shape of a leopard walking down the road. The unsuspecting Nottens female froze upon seeing the lions, but quickly fled up a nearby Marula tree when the Southern Pride came chasing after her. Interest was lost quickly and the pride carried on eastwards. Meanwhile, the Majingilanes had also heard the impala alarming and quickened their pace to investigate from the opposite direction. The three males stood on the crest of the road, sniffing the air, panting misty breaths of menace as the Southern Pride continued walking straight towards them, unaware. Then with stiffening bodies, the two prides saw each other and froze still. A quick glimpse left and right, tails straightening, the Southern Pride knew they were in trouble and spun around to sprint west back down the road. The Majingilane Coalition began their chase in hot pursuit, roaring incessantly at full pace. Each of the lions disappeared as they broke through the bush in full flight whilst we desperately tried to keep up. Suddenly we heard the unmistakable bellows of a fight, in the bush to our west. We ventured in and found what we had feared: the 3 Majingilane males sat panting next to the badly wounded Southern Pride young male. The unnatural angle of his hips was a sure sign that his back had been broken. His head was up, and he was breathing hard through an open mouth. There was a deep puncture wound on his shoulder. Every time a Majingilane moved, he mustered a low growl. The 3 attackers were quiet but attentive to the night sounds; it seemed as though they were waiting for the rest of the Southern Pride to come to their fallen comrade. They never did. 8 pages of lion warfare history.